French luxury watchmakers Bell and Ross have recently introduced a new collection with the BR-X1 being the first of its kind in the range. It features a skeleton chronograph movement and is said to be inspired by the Bell X-1 – the first experimental rocket plane to break the sound barrier at 1,224 km/h in 1947. Its 45 mm square case is made from Grade 5 titanium with the edge being composed of a mixture of ceramic and rubber – acting as a form of impact-resistant layer. The chronograph function is activated via two rocker buttons on the three o’ clock phase of the watch – themselves made from ceramic with rubber inserts. Woven black rubber straps help to complete the utilitarian look with an anti-glare sapphire glass ensuring that maximum legibility is possible under almost any circumstances. The Swiss-made timepiece is powered by an automatic movement and is water-resistant up to a 100 metres. 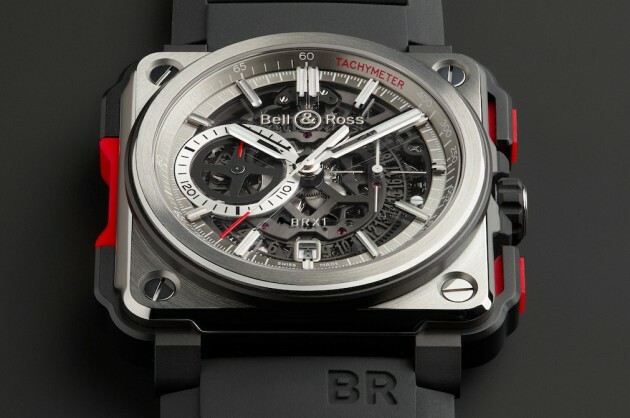 Only 250 pieces of the Bell and Ross BR-X1 will be made available worldwide so if you want to get your hands on one, best to check out the Bell and Ross boutique located in Pavilion, Kuala Lumpur. Does anyone know how much is this piece of toy cost?